Perfect for any haunted house or home haunt displays! Metal sign is distressed with blood stains and says "Do Not Enter. 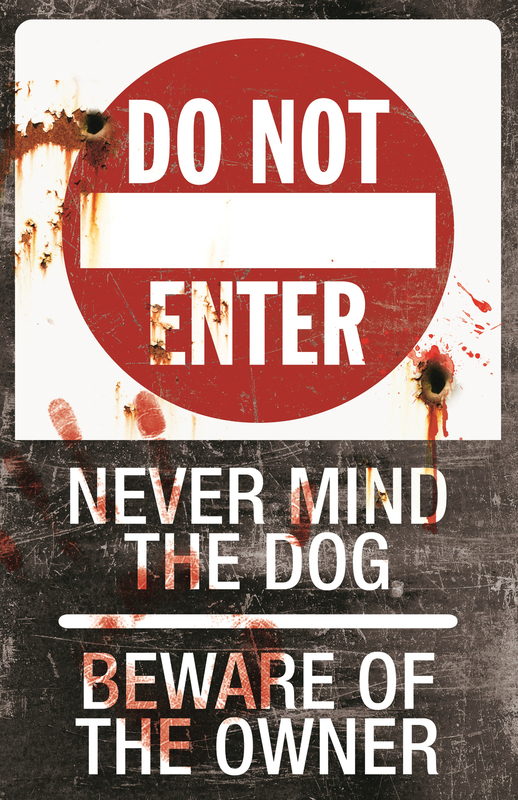 Nevermind the Dog, Beware the Owner." This measures approximately 16.9" x 11".